Pasionae are an interesting new jewellery label based in New York, staying true to the concept of l’arte pour l’arte or ‘art for art’s sake’. The label aim to show the crossover between art and fashion, and some would say in this case they are one and the same. 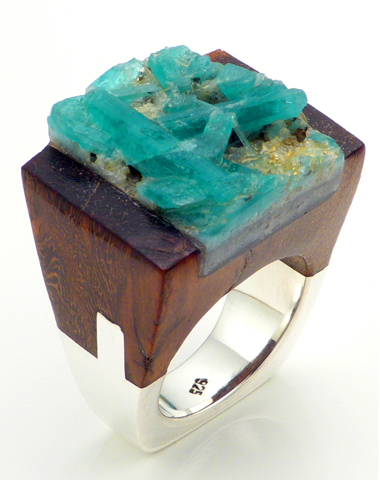 Taking artistic ideas, unique ways of experimenting with different mediums and styles, textures and shapes, Passionae create stunning pieces that are one of a kind. Based on the ancient philosophical concept of passion, the pieces are supposed to be a reflection of our internal ‘passions’. Once understood to be disorders or agitations of the soul, human vulnerability against these passions was seen as submission of one self. The brand uses this irrationality of the soul as its muse. 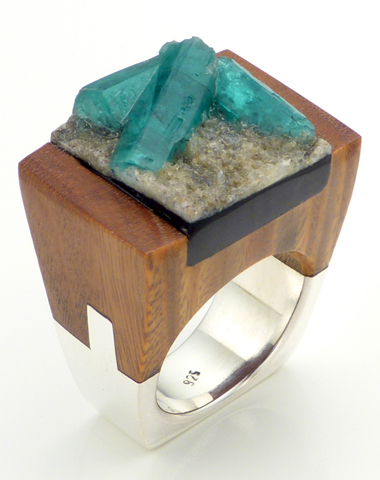 Each piece in their Wood Emerald collection (2012) is made up on a sterling silver base with emerald stones set in wood. Because of the beautiful uniqueness and variety of the stones, each ring is slightly different, meaning no one will ever own the exact same piece as you. This is something that appeals to a wide audience, as these days it is so easy these days to wind up with the same jewellery as millions of others due to popularity of large retail giants. Pasionae give something beautiful, precious and one of a kind to its customers. Each piece in the collection is named after one of ‘the passions’: one ring named love: ‘irrational affection’, one named delight: ‘irrational excitement’, as well as the others; lust, distress, cholera, fear, hatred and piety. 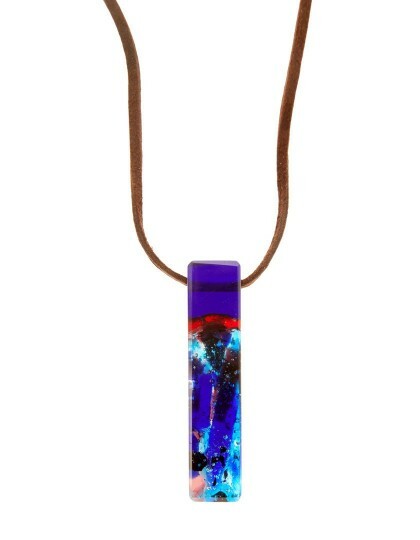 The Murano glass collection (2013) is crafted from authentic Murano glass, originating from its namesake Venetian island. 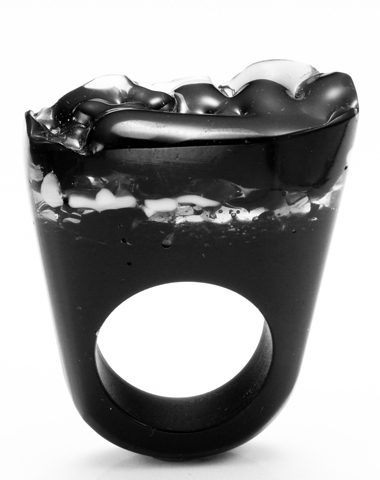 Once again, the subtle differences between each piece of glass used means a slightly different ring is created each time. 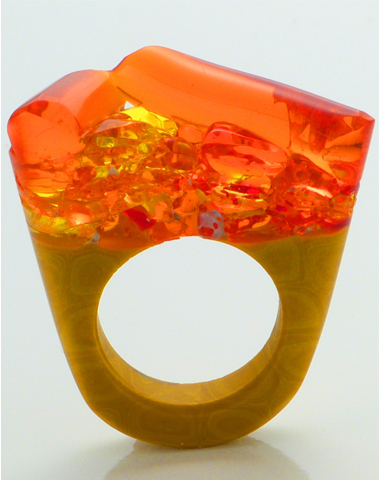 Each piece of glass exhibits unique colours and textures, the rings are available in stunning bright colours and monochrome tones. 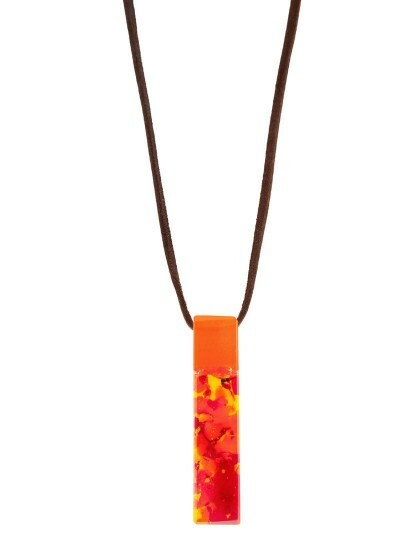 The Murano glass collection also contains necklaces with pieces of the glass hanging as pendants. These are pieces that really make an outfit and deserve to be worn with simple looks so that they can take centre stage.This showcasing of the natural beauty that can be found on earth is what makes Pasionae such an interesting and exciting label. As with all of their collections, each piece in the Murano glass collection is named after a different passion, giving the piece an even deeper meaning were it to be given as a gift, or simply bought for ones self. Combining artistic ideas about colour, shape and texture with the popularity of statement jewellery, the handmade pieces are something to be shown off, a conversation starter and something that will be treasured by anyone who possesses them. The combination of historical idea, art and fashion is something that is not very common, this gives the label and its pieces a truly unique and slightly magical feel.